Healio brings you the highlights from Retina World Congress Meeting. 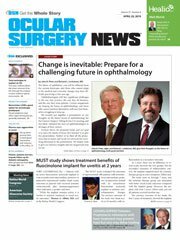 Refer back to this page often for the latest news from Retina World Congress, perspectives and interviews with leading researchers and clinicians, and to review archives of past meetings. Location: Marriott Harbor Beach, 3030 Holiday Drive; Ft. Lauderdale, Fla.